When dealing with legacy code, it is not uncommon to browsing through a function with 5k line of code. I was wondering, in the middle of function's code, how can I know which function I'm currently? Structure doesn't seem helpful in this case? I can only know what is the members of the class. 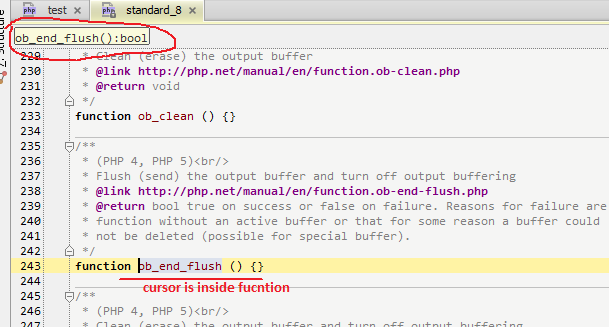 However, I do not know currently my cursor is inside which functions? The breadcrumbs area should show it (see screenshot below). Do you have the same on your computer?